Adorable, colorful little dinosaurs keep adding up in this delightful pop-up book by best-selling author-illustrators Paul and Henrietta Stickland. Each spread features a big, bright number right in the center that practically pops right out of the book, making it easy for kids to see how many dinos there are on the pages. As the numbers get bigger, so does the pop-up, reaching a grand finale with a huge brilliant 10! 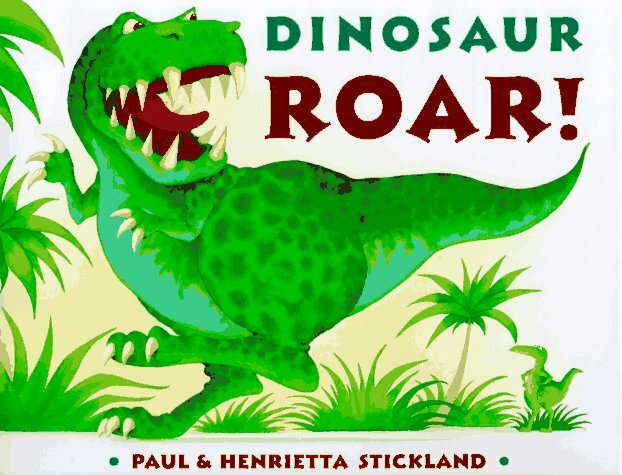 And, because these dinosaurs are the creations of Paul Stickland (Dinosaur Roar! ), theyâ€™re amusing, playful, and very cuteclimbing on the numbers, hiding behind them, and having an all-around good time. Learning to count has never been so much fun!